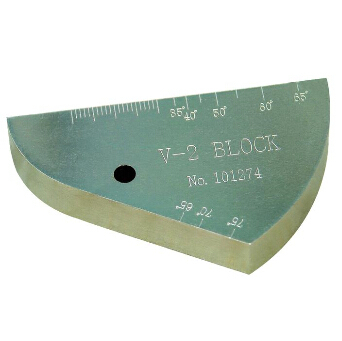 Used for calibration of shear and longitudinal transducers, and verification of shear wedge exit point and refracted angle. Shear Wave Probe Index, Time Base, Beam Angle and Gain. From 35 to 75 Degrees. 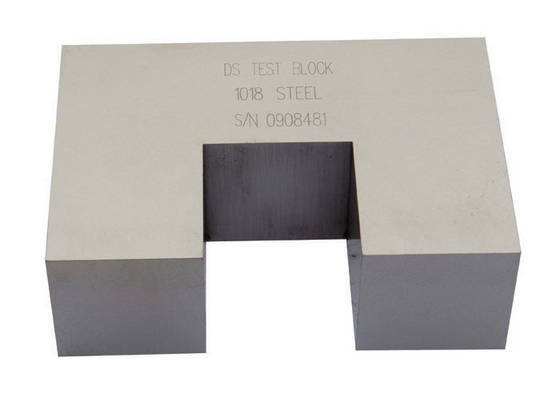 AWS-type block used for shear wave distance and sensitivity calibration. Fitted wooden storage case optional. 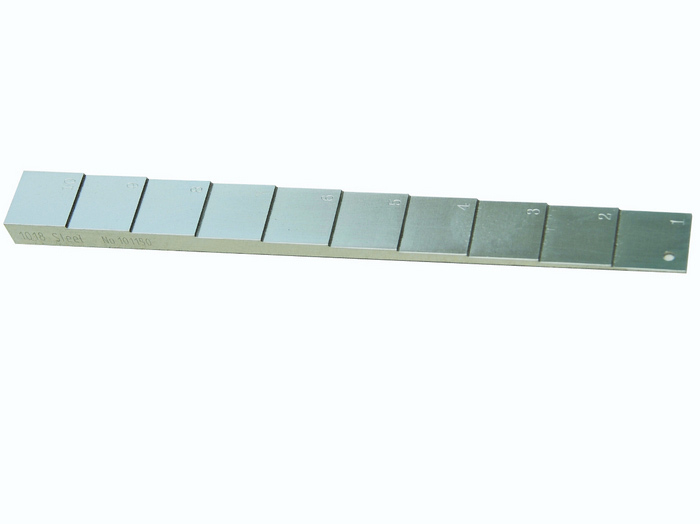 AWS-type block used for shear wave distance calibration. Contains a 25.0 mm radius overlaying a 50.0 mm radius on a 180° segment. 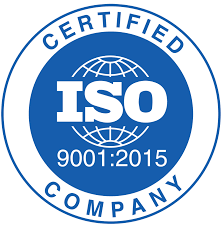 In accordance with ASTM E164 and BRR/AWS X-1 specifications. 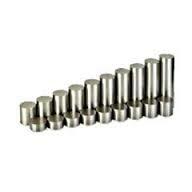 Used for beam profile measurement of angle beam transducers and measurement of transducer angles. 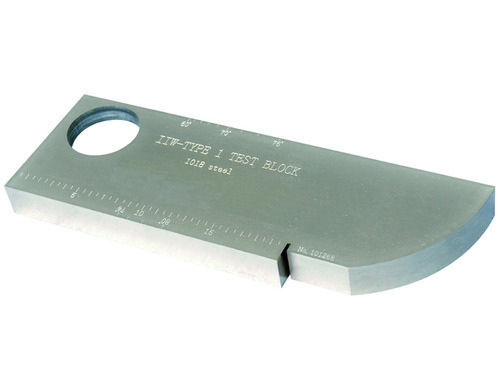 Contains nine 1.5mm diameter x 22mm deep side drilled holes. In accordance with British Standard 2704 requirements. 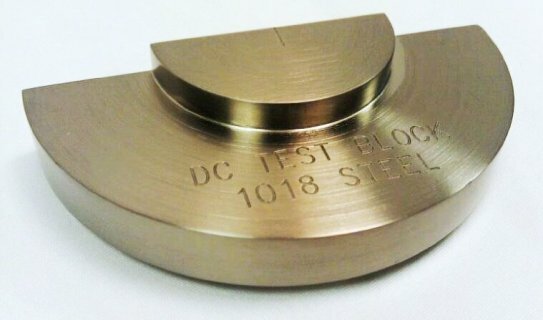 AWS-type block used for longitudinal distance and sensitivity calibration. Contains a 2.0″ high section between two 4.0″ sections. Set of nineteen flat-bottom hole blocks used to determine the relationship between metal travel distance (MTD) and signal amplitude. All blocks have the same size flat-bottom hole and varying MTD. Hole diameter must be specified when ordering (3/64”, 5/64” or 8/64”). In accordance with ASTM E428. 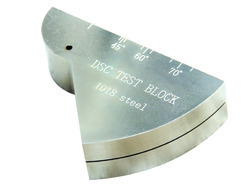 This block contains (9) 1/16″ diameter thru-holes located from 0.100″ to 0.900″ from the scanning surface. Nominal location is laser engraved on the side of the block. Made from 1018 Steel, Nickel plated. 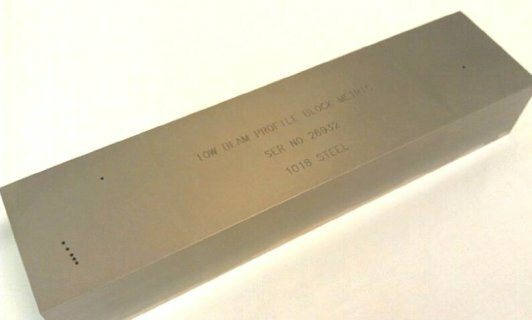 Blocks can be made in most alloys, including exotics. These Various Step block is the metric “A” version. Variations of this block are available if additional steps are preferred. Also, larger step faces are offered for use with large diameter transducers. In accordance with ASTM E797. 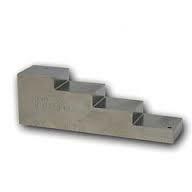 Also 90° Curved Step block is machined from solid 2″ diameter bar with Various step thicknesses.